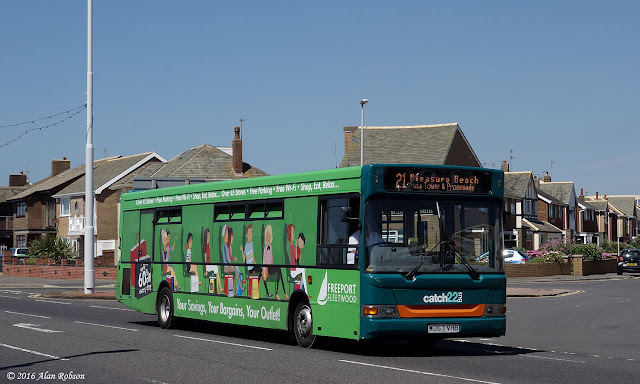 Catch22Bus Ltd discontinued their service 21 journeys to Blackpool Zoo on 17th July. 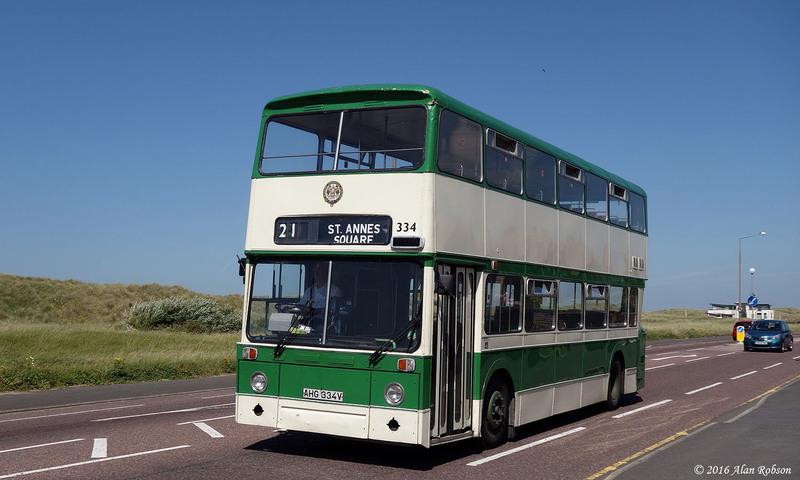 From Monday 18th July the coastal service began operating between Cleveleys and St Annes Square, and was rebranded 'Coastliner 21'. The new route operates on an approximate 20 minute frequency, and when observed on 19th July there were 5 buses operating the service. 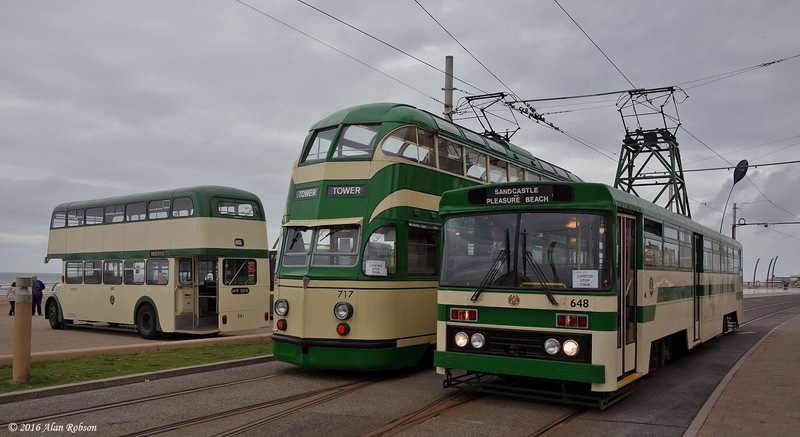 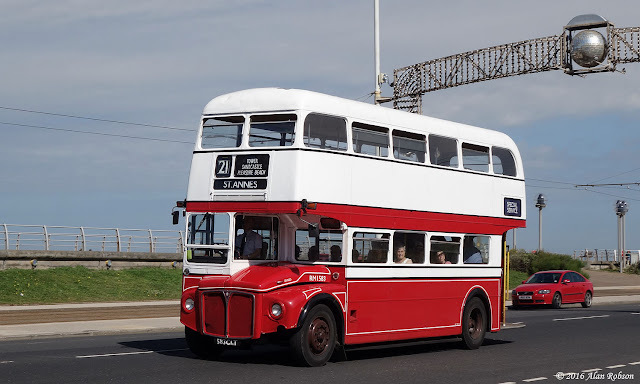 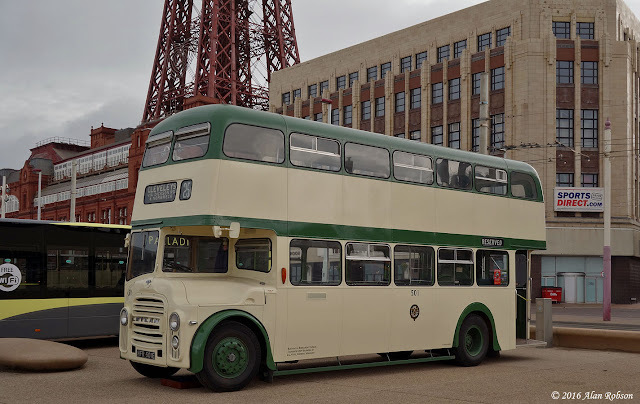 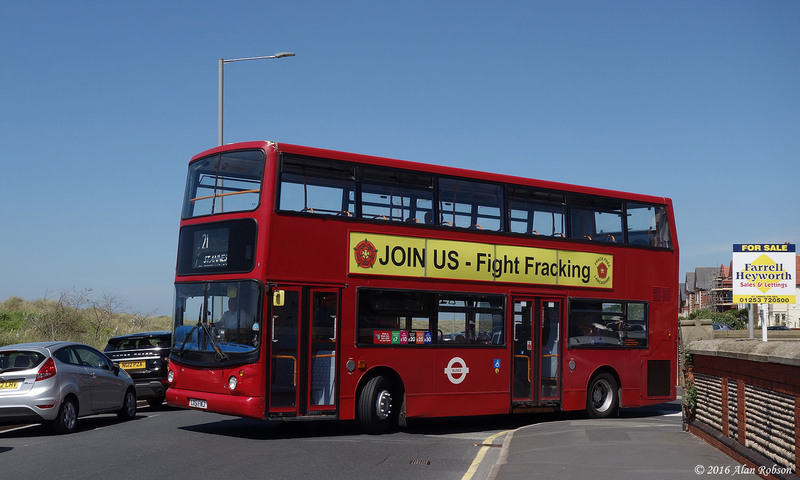 The 21 was being operated with a mixture of both heritage and normal service vehicles on Tuesday 19th, with RM 1583, former Blackpool Corporation PD3 516 and Atlantean 334, Dennis Trident LX51 FNJ and Dennis Dart W363 VHB running along the prom between Cleveleys and St Annes. 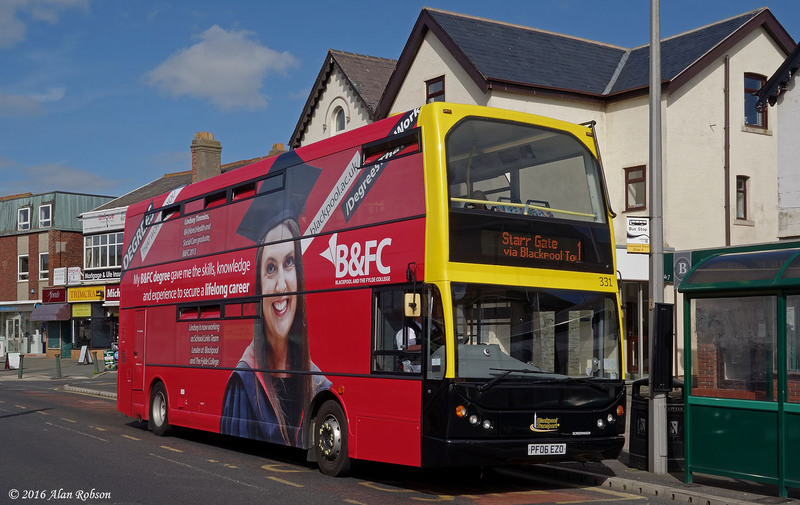 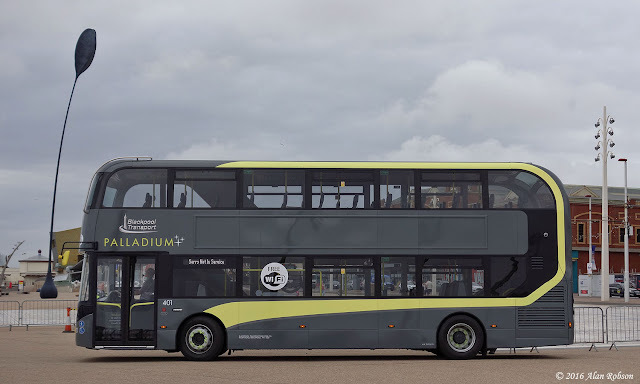 Dennis Trident 331 has recently received a new overall advert for Blackpool and The Fylde College. 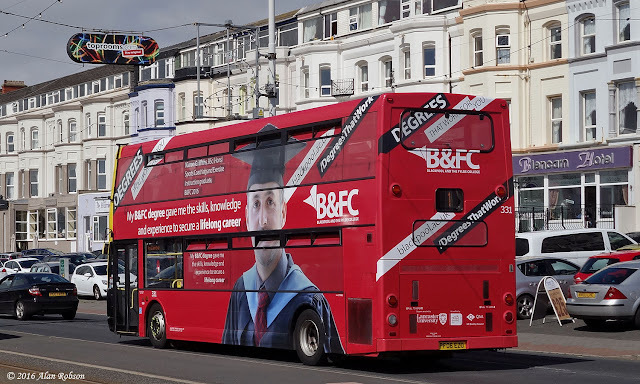 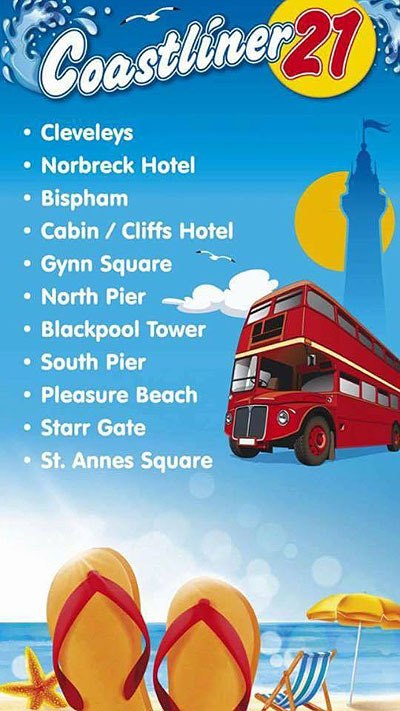 The new advert on 331 replaces the previous one for The Blackpool Tower Dungeon which was applied in spring 2015. 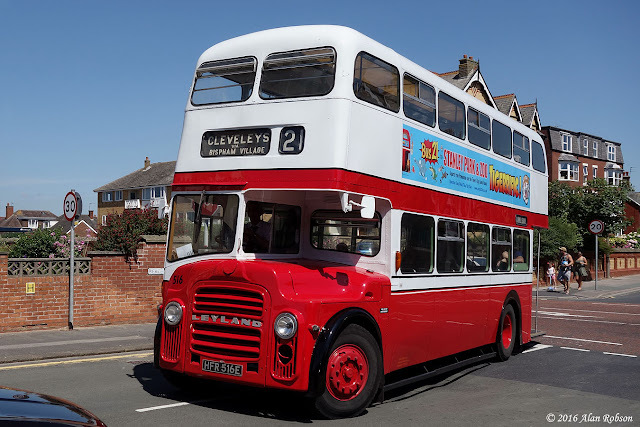 Flat fronted fat-door Balloon 718 operated a special tour on Friday 15th July to welcome it back to the operational fleet. 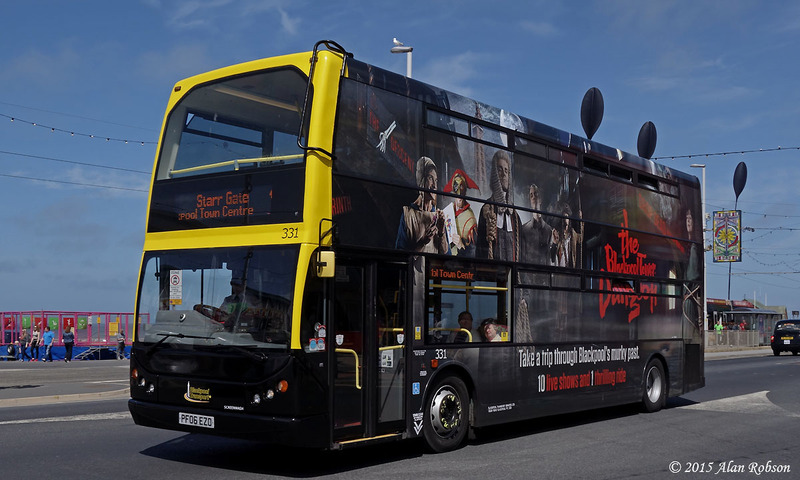 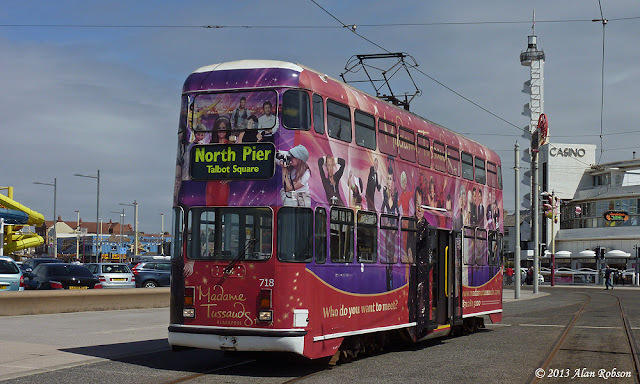 718 was last used in passenger service back in 2013, at that time it was still sporting a very colourful overall advert for Madame Tussauds waxworks. 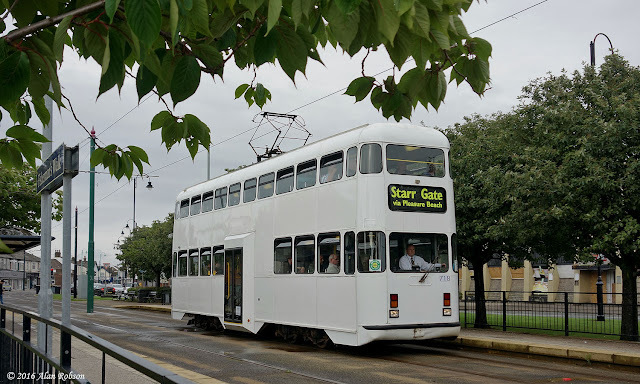 As the contract for the overall advert had expired, the vinyls have recently been removed leaving the tram in its all white advert base coat. 718 operated a full system tour during the late afternoon and evening of 15th July which cost participants £10 a head. As part of the local Bus Driver of the Year heat being held in Blackpool on 10th July, there was a small display of buses parked up on the Tower Headland alongside the competition arena. The buses taking part in the display were 1987 open-top Leyland Olympian 857 (D257 FYM), in use as the commentary vehicle, 1967 Leyland Titan PD3 No. 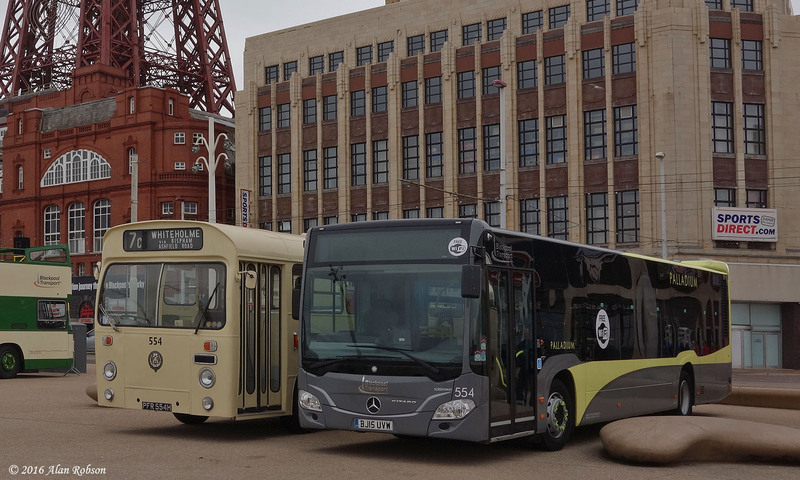 501 (HFR 501E), 1970 AEC Swift 554 (PFR 554H) and 2015 Mercedes Citaro 554 (BJ15 UVW). 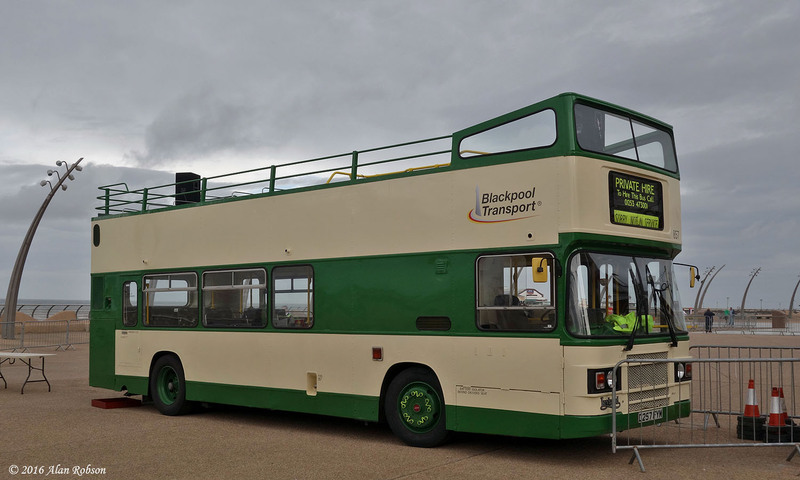 Blackpool Transport held the local heat of the Bus Driver of the Year competition on the Tower Headland today, in order to find their best drivers to put through to the National Bus Driver of the Year event which will be held in September. Of special interest was the bus being used for the competition, which was the first of the recently delivered batch of 10 Alexander Dennis Enviro 400 City buses. 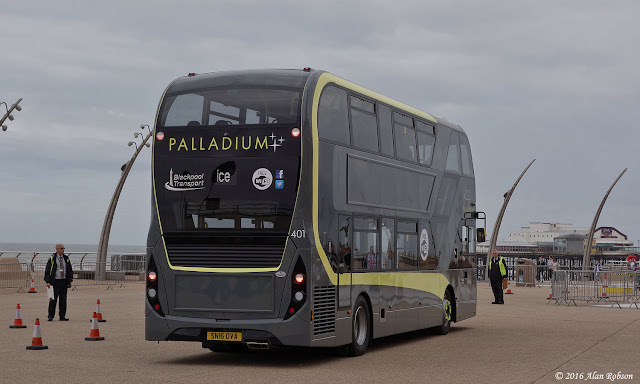 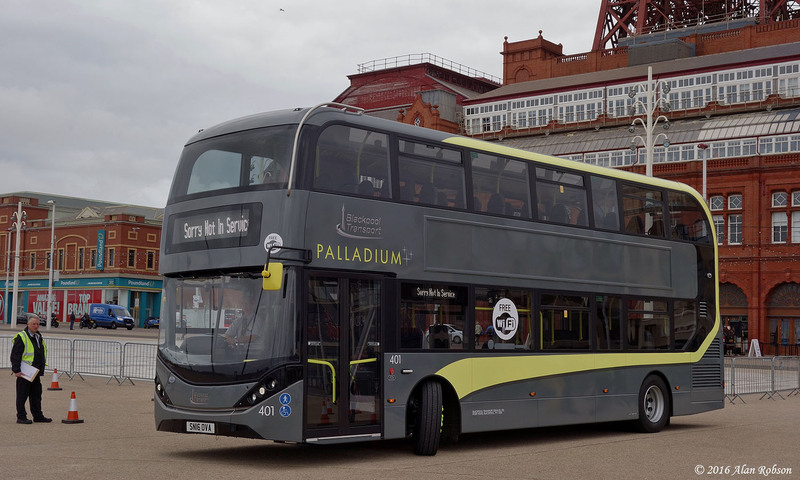 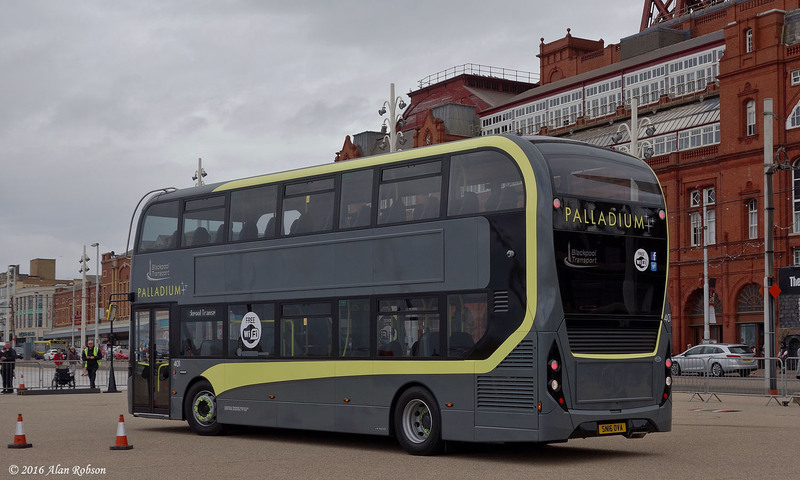 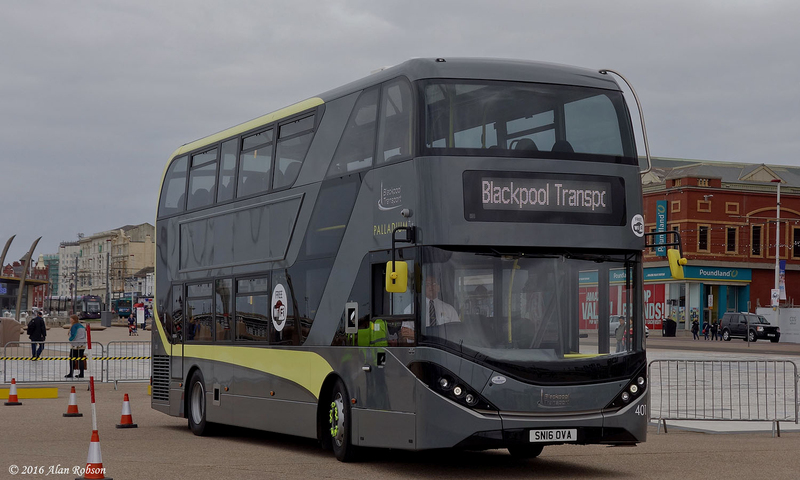 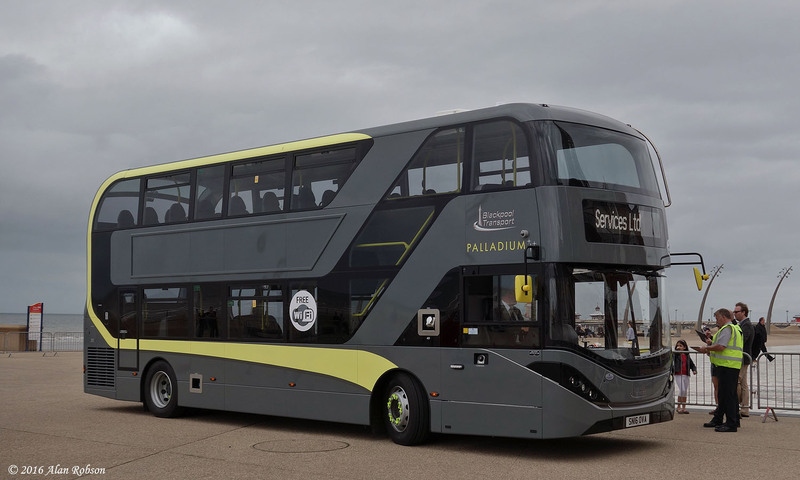 The bus chosen was Palladium branded 401 (SN16 OVA), due to enter service on route 9 between Cleveleys and Blackpool later in July. 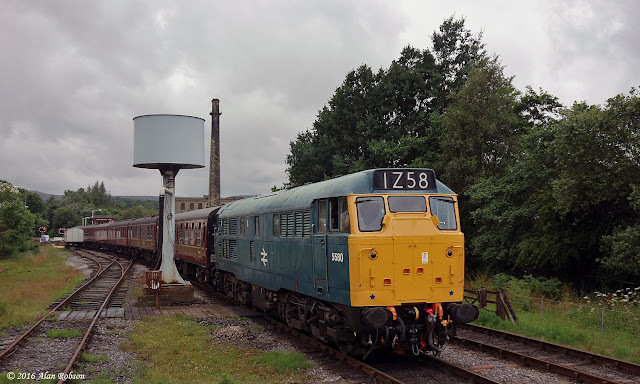 The East Lancashire Railway at Bury held their annual Summer Diesel Gala from Friday 8th to Sunday 10th July, and while there was a great selection of diesel locomotives to sample, the weather was decidedly un-summer like for July, with Friday seeing heavy grey clouds interspersed with occasional showers for much of the day and the Saturday set to be even worse, with rain forecast all day. 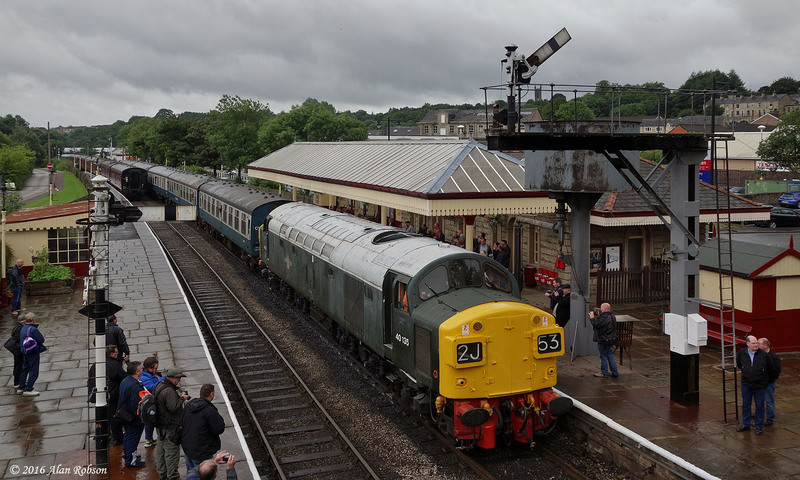 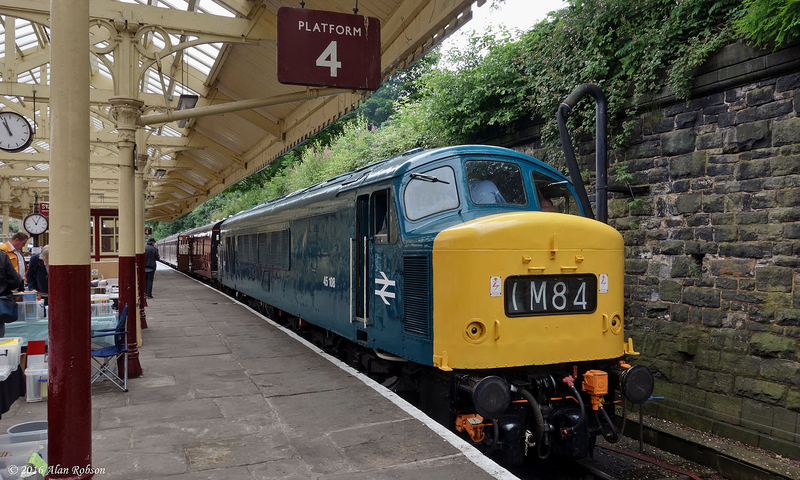 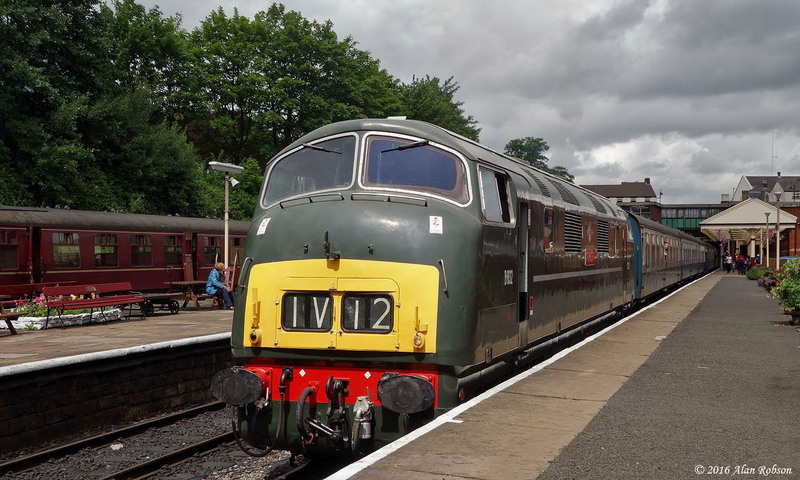 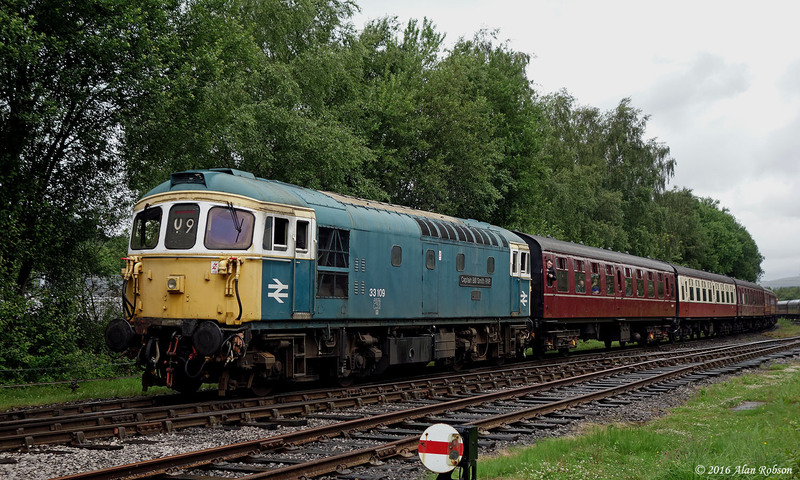 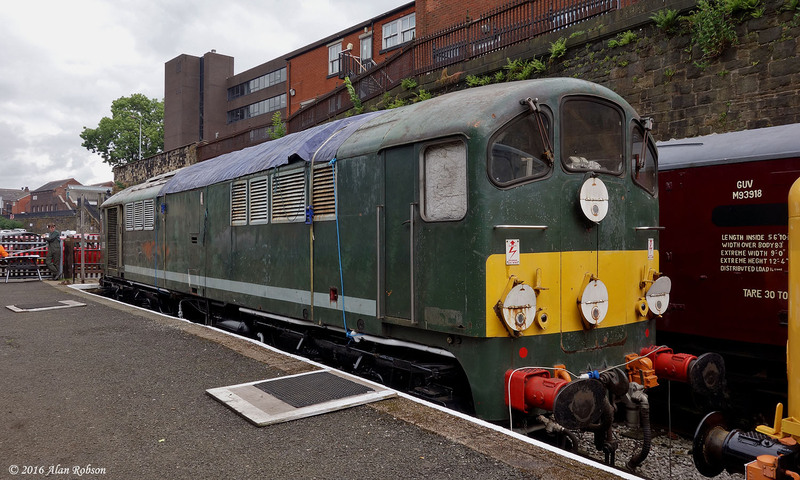 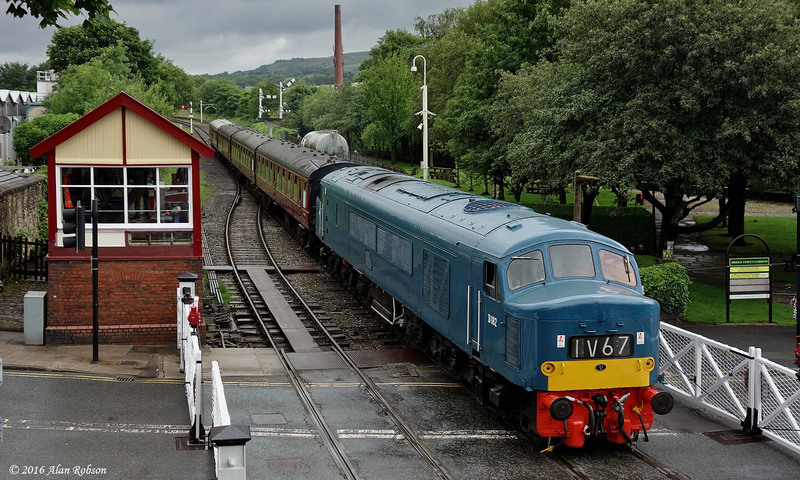 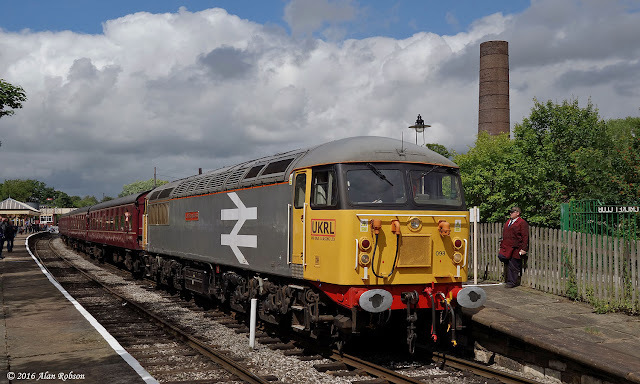 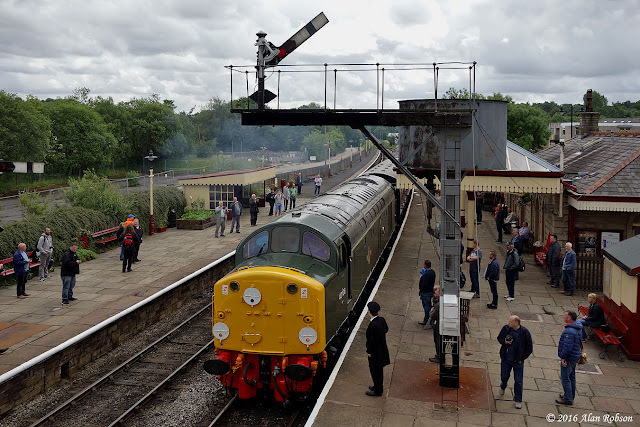 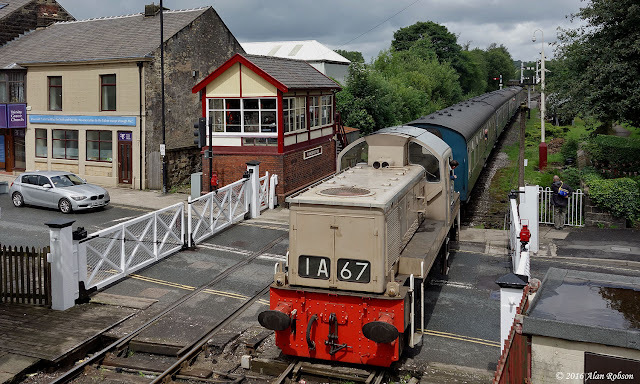 Despite the dismal weather there was much to enjoy over the weekend, with one of the highlights being the return of the ELR's own Class 42 diesel-hydraulic Warship locomotive D832 Onslaught, which had been away on long term loan at the West Somerset Railway.